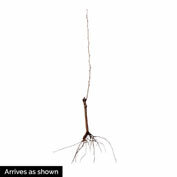 Drippin' Honey Asian Pear Tree | Gurney's Seed & Nursery Co. 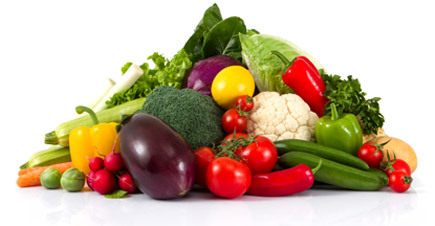 Round fruits weigh up to 1 lb. 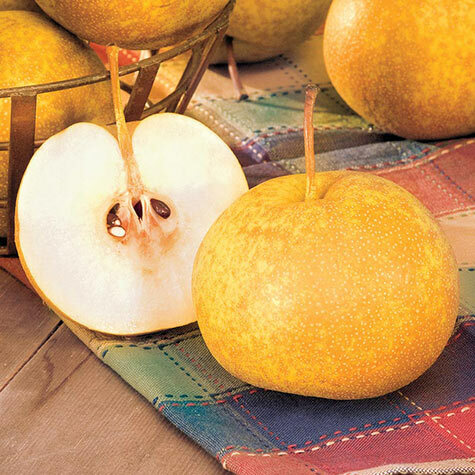 Huge juicy pears are honey sweet and delightfully crisp. 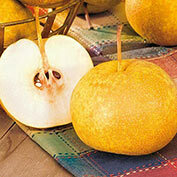 Round golden russet fruits can reach up to a pound, and mature trees bear very heavy yields. The easiest care pear you can grow, Drippin' Honey has few problems with pests or disease, and requires very little to no spraying. Maturing in October, you can still be enjoying these sweet treats in April, as they will hold up to six months in the refrigerator! PPAF.